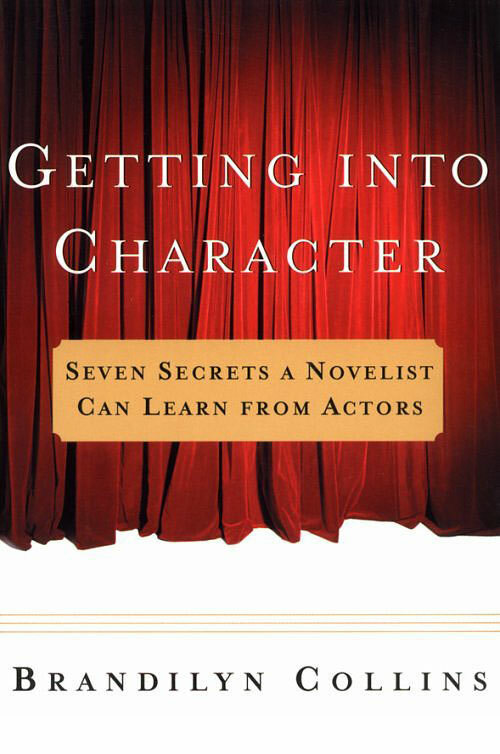 Excerpted from Getting Into Character: Seven Secrets a Novelist Can Learn From Actors, by Brandilyn Collins. How many times have you read a novel with dialogue that struck you as shallow or unbelievable? Much of the time this results from characters always saying exactly what they mean. I call this WYSIWYG dialogue—What You See is What You Get. (It’s also often called “on the nose” dialogue.) Problem is, continuous use of WYSIWYG dialogue does not reflect real life. People often communicate through subtexting, in which the meaning of the conversation flows below the actual words spoken. When a novelist learns how to employ subtexting effectively, dialogue that had once been lifeless and on-the-surface transforms into vibrant interchanges between characters, pulling the reader into the story. Some authors innately know how to subtext dialogue. But many, especially new novelists, do not. So let’s unbundle the technique, showing when to use it, and how to convey the underlying meaning to readers. 1. Subtexting is not limited to times when one is tongue-tied or tense. It’s a common, everyday occurrence. 2. Subtexting is not limited to conversations between people who have just met. It occurs in all relationships and is equally common between friends and enemies, strangers and spouses. 3. Sometimes entire conversations are subtexted; other times only portions are. Imagine two friends, Liz and Sara, working together on a volunteer project. Liz becomes irritated at something Sara does and snaps at her but soon apologizes. Sara is hurt and doesn’t readily accept the apology. They say little while they continue to work. After their project is done, Liz suggests, “Want to go out for coffee? I’m buying.” But going out for coffee is a side issue. What she really means is: “Please, will you forgive me now? I’m really sorry for what I said, and I want to make it up to you by treating you to coffee.” Sara will instinctively respond within the same subtext. If she says, “Okay” or even “I can’t right now, but I’d love to later,” what she would mean is: “Yes, I’m now ready to forgive you.” But a chilled, “I don’t have time” would be a clear message that she still refuses to forgive. What’s fascinating here is that both women engage in this surface dialogue while knowing that the other isn’t fooled one bit as to its underlying meaning. Their conversation is about coffee. But their communication is about forgiveness. Five words spoken between man and wife. Sound mundane, boring? They are, in the form of WYSIWYG dialogue. But put your creativity to work and imagine the underlying messages these simple words could convey. Notice how your thoughts immediately shift from the words themselves to character motivation. Who are these people? What do they want? What kind of marriage do they have? Now you are thinking in a way that fleshes out your characters. Just to show how effective subtexting can be, let’s create a scene with maximum dichotomy between the dialogue and its subtext. Using only these five innocuous words, we’ll depict a deeply flawed, abusive marriage. The conversation will be morning greetings; the communication will be about power and the need for love. But wait a minute. If this subtext isn’t in the dialogue itself, where will it be? How will we convey the real communication to the reader? In subtexting, the real communication is artfully woven through description into the context of the conversation. The amount of description necessary will depend on how well readers know your characters. If the scene is in the middle of a novel and involves an ongoing conflict, the general context will already be in place, and less description is necessary. But let’s raise the stakes in our example, making it the opening scene in a novel. Since readers will not know the characters at all, we’ll need to skillfully weave adequate description into the scene—without stopping the action—in order to communicate the subtext. At last, silence. Not even a creak from the padded rocking chair. She was too tired to push. Early morning light filtered through checkered curtains, patterning the floor at Missy Danton’s feet. Her newborn nursed in her arms, sighing in contentment with each swallow. For hours, Missy had despaired of this moment ever arriving. The baby had squalled all night, filling her with fear at the thought of waking her husband. Missy smoothed a fingertip over the baby’s perfect cheek. How could Franklin still treat her so badly after she’d given him such a beautiful son? She’d been so sure a baby would change things. But the pain in her left shoulder where he’d punched her twice yesterday, baby in her arms, screamed the bitter truth. The nursery door pushed open. Missy raised exhausted eyes to watch Franklin’s head appear, hair matted from sleep. What she would give for the slightest bit of compassion. “Morning.” Her voice was little more than a croak. Resentment rose like hot acid within Missy. She pressed her lips together, fingers tensing under the baby’s blanket. “Sleep well?” Biting with sarcasm, the words slipped from her lips. The moment they were out, she wanted them back. Franklin drew to his full height, eyes narrowing. 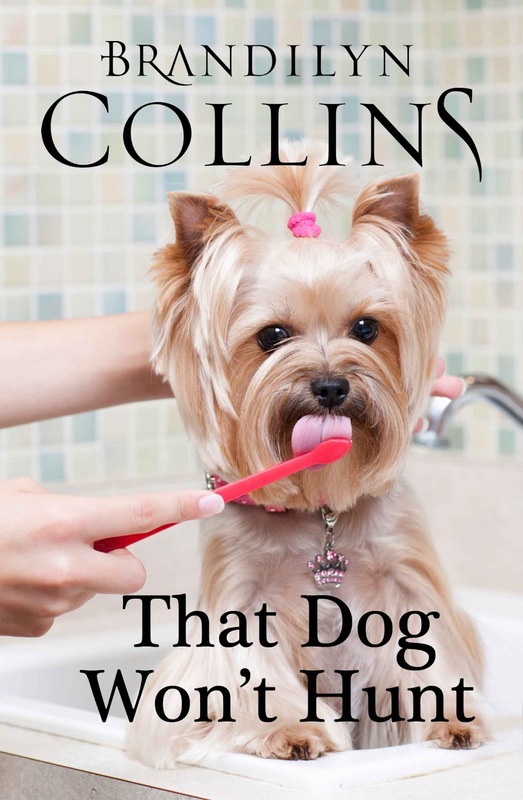 His head tilted, and Missy could see the telltale vein on his neck begin to throb. She braced herself, drawing her baby closer. Franklin’s mouth opened in a smirk, his chin jutting. “Yeah,” he challenged, goading, daring her to continue in such foolishness. Fresh fear blanketed Missy’s anger. She now had more than herself to protect. Missy lowered her eyes. Any doubt this woman’s in real trouble? Afraid, seething with repressed anger, yearning for a gentle touch, caught in the web of victimization. And the baby. Notice how the son she’d “given” Franklin becomes “her baby” in the moment of danger. How long until this child is also abused? Franklin doesn’t seem likely to change his ways. Yet none of this is spoken. Look at me just once with compassion, Franklin. I’ve been up all night with the son I’ve given you, and I’m exhausted. Yeah, what do I care? That’s your place, watching the kid while I get my eight hours. I’m sick of the way you treat me! How can you be so selfish, sleeping all night while I was having so much trouble! You keep it up, Missy, you’ll be sorry. A baby in your arms ain’t gonna keep me from hitting you. I didn’t mean it, Franklin, please don’t hit me. I’m afraid for my baby. Imagine this scene written with that kind of WYSIWYG dialogue. How clutzy it would feel. Readers would instinctively know it was wrong, even if they couldn’t verbalize why. People in Missy’s and Franklin’s situation just don’t talk like that. So how can you know when to subtext a scene? Not all dialogue should be subtexted; sometimes WYSIWYG exchanges are appropriate. As with so many aspects of writing fiction, there are no cut-and-dried rules. But there are some major guidelines that, when considered together, can point you in the right direction. Why didn’t the first person say exactly what he was thinking? Why didn’t the second person? How was I able to understand the underlying meaning? If I were to write this scene, how would I convey its subtext? 2. The person didn’t need to state what he was thinking because the other person already knew it. In our scene, Missy is an example of answer number one. She doesn’t want to say what she’s thinking because she’s afraid of her husband. Franklin, on the other hand, doesn’t need to say what he’s thinking because he’s already spent months putting Missy “in her place.” He can display his power through a mere yawn or certain look, knowing Missy will meekly accept it due to her fear. in order for subtexting to be considered in your dialogue. 3. Do “A” and “B” understand the current situation well enough that they don’t need to state the obvious? 4. Is this scene a continued presentation of an ongoing conflict, or is it a major turning point for change? The first three questions consider character motivation. As noted, if a character doesn’t want or doesn’t need to state what he’s thinking, subtexting may be appropriate. The fourth question considers the placement of the scene within your novel. however, a major turning point for change often demands honesty. Think ahead in Franklin’s and Missy’s story, after a surprising series of events has caused Franklin to try to change. Imagine a critical scene in which the couple speaks openly for the first time. Missy is finally able to say what she feels, telling Franklin that, after all his abuse, she doubts she can love him again even though he’s now trying to be different. At this point, the conflict within Missy shifts from the struggle to survive as a battered wife to the struggle to regain lost love for her husband. Note here a wonderful by-product of effective subtexting. The bitter honesty you save for crucial scenes will be far more intense when such openness is new to the characters. The older and/or deeper the conflict, the more likely that subtexting will be appropriate. residual effects of those wounds can seep into the subtext of everyday conversation. How could Franklin still treat her with such contempt after she’d given him such a beautiful son? She’d been so sure a baby would change things. But the pain in her left shoulder where he’d punched her twice yesterday, baby in her arms, screamed the bitter truth. He slouched in the doorway, dismissive eyes flicking over her face, the baby. Franklin’s mouth opened in a smirk, his chin jutting. 1. Write out the subtext in your scene line by line. This exercise will firmly establish in your own mind the underlying meaning of each spoken word. Subtext must be very clear to you before you can convey it to readers. 2. Create overlying dialogue that would naturally occur in the scene. Again, let’s look to Missy and Franklin. That scene takes place not long after dawn. An exchange of morning greetings is a natural occurrence in that situation. In another example, if a woman is attracted to a man sitting beside her on the commuter train, she might initiate a conversation about the book he’s reading. Their discussion of two characters in the story could parallel what they are thinking about each other, and the impressions they want to create. 3. Weave TIME descriptions around the dialogue to convey the subtext. Thought. This doesn’t refer to italicized words that represent literal thoughts. Those quickly become tiring to the reader and should be used sparingly. Rather, it denotes a clear indication of what a character is thinking through narrative. A word of caution here, since thought is often the easiest to use. Don’t overuse it, or you will simply move all meaning from spoken word to narrative. This will negate the need for other description and will deaden your scene, “telling” your story rather than “showing” it. One way to guard against overuse of thought is to stay within one point of view per scene. Note that in our example we remained in Missy’s point of view yet always knew what Franklin was thinking, based on his actions and Missy’s interpretations. Inflection. One or two well chosen words can convey a magnitude of meaning. Missy’s “sleep well?” asked with biting sarcasm spoke of her deep resentment and anger at Franklin. It had nothing to do with how he’d spent his night. Movement. This incorporates body language as well as large motions. A slouch, jiggling foot, flick of the hand—all convey messages. Expression. Facial expression can be very effective even when a character is otherwise still. Missy’s final communication of accepting “her place” under Franklin’s abusive rule was conveyed merely through lowering her eyes. Sometimes a silent expression tells the reader far more than words. All these guidelines and steps may have you thinking, “Good grief, with all this to do in writing dialogue, I’ll never finish my novel!” Truth is, you won’t need to follow them for long. Once you become familiar with subtexting, it will become a natural process as you write. 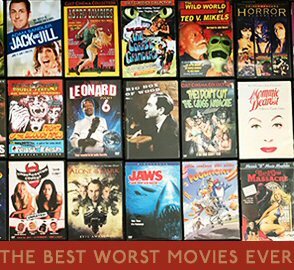 And you’ll see how much more depth and richness it lends to your scenes. Subtexting will force you to create more description than you used when your characters always said exactly what they meant. Your dialogue will be more realistic and your characters more vibrant. Brandilyn Collins is the author of over twenty-five traditionally published books (2 nonfiction, 23+ novels.) She is known for her trademarked Seatbelt Suspense® and contemporary novels. Brandilyn has recently turned to self-publishing exclusively. Her first indie book, That Dog Won’t Hunt, ($2.99 ebook, $9.62 paper) is a humorous and poignant look at a loving, boisterous Southern family trying to welcome the youngest son’s timid fiancée (a survivor of child abuse) into their midst at an annual reunion. Joe sez: My books have a lot of white space in them. White space is all about indenting, without blocky paragraphs that take up half a page. I've also taken to avoiding chapter breaks, so readers don't have a good place to set the book down. I like to think I write page turners, and one of the secrets to that is pacing. Pacing is all about "what happens next" and six sentences about how majestic the sky is tends to slow down the pacing, while action and dialog speed it up. Dialog offers many white space opportunities. When done right, it both moves the story forward by conveying needed information to other characters (and therefore the reader) while also imparting characterization, helping the reader form opinions and become invested in your characters. Good dialog can also do a third thing: evoke emotion. Tears, fear, laughter, outrage, etc. If, at any time, you're doing two or more things (intentionally) with a sentence, it's probably a good sentence. String as many of them together as you can. 1. Try to sound like people really talk. That means improper grammar when needed, speech hesitations (um, uh, elipses, em dashes), fragments. Listen to people having a real conversation. It's eye opening how incorrect it is compared to the written word. 2. Avoid infodumps. The James Bond moment where the villain reveals his secret plan is sometimes unavoidable, but when you find characters constantly explaining backstory or plot, you need to start over. 3. Show, don't tell. That goes for dialog as well as interior monologue/description. "I am angry," said Joe, who was angry. Compare that to, "Don't start, I swear..." Joe's eyes narrowed, and Frank noticed the pudgy writer had clenched both of his fists. 4. I prefer to use said instead of any other dialog attribution, but prefer to use action rather than said. Don't: "You're dead!" Joe screamed. (Joe screamed very loudly is worse). Better: "You're dead!" Joe jabbed his finger at me like he was going to shoot lightning from it. Don't: "Kiss me," Joe purred seductively. Better: "Kiss me," Joe said. He had that squinty, playful look that made my breath catch. (don't even need the said there). 5. In dialog, speaker attribution isn't necessary unless the exchange gets really long. The reader can figure out the back and forth without constantly reminding them who is speaking. If it goes on for more than five or six lines, through some action in there. 6. Remember conflict. The essence of all narrative is conflict. People at odds, with problems, pursuing different goals, have more interesting dialog than two friends getting stoned. Conflict is more than just names and threats. It's a dance, each participant trying to get what they want.